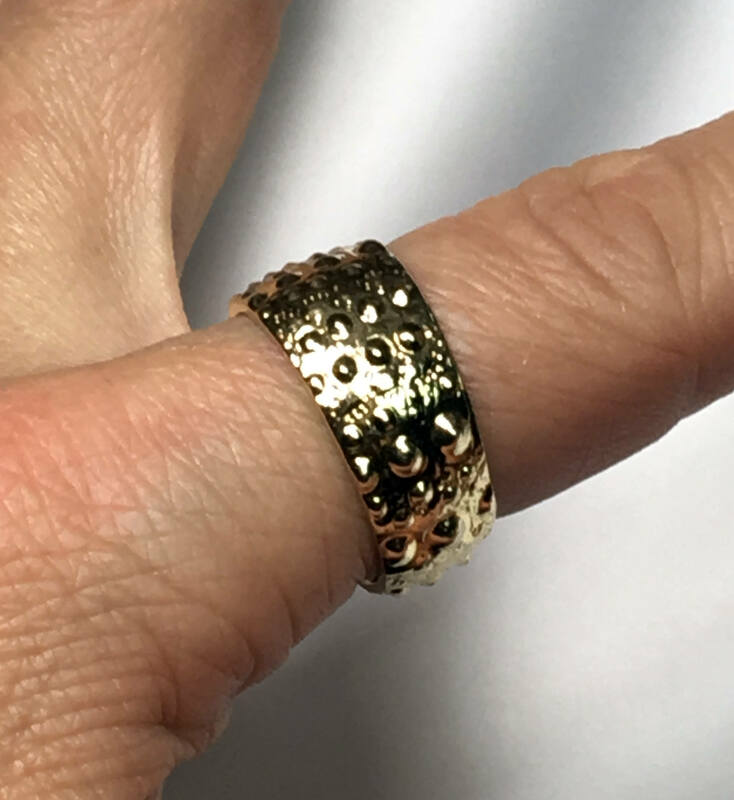 Gold Sea Urchin Ring-Ready to ship. 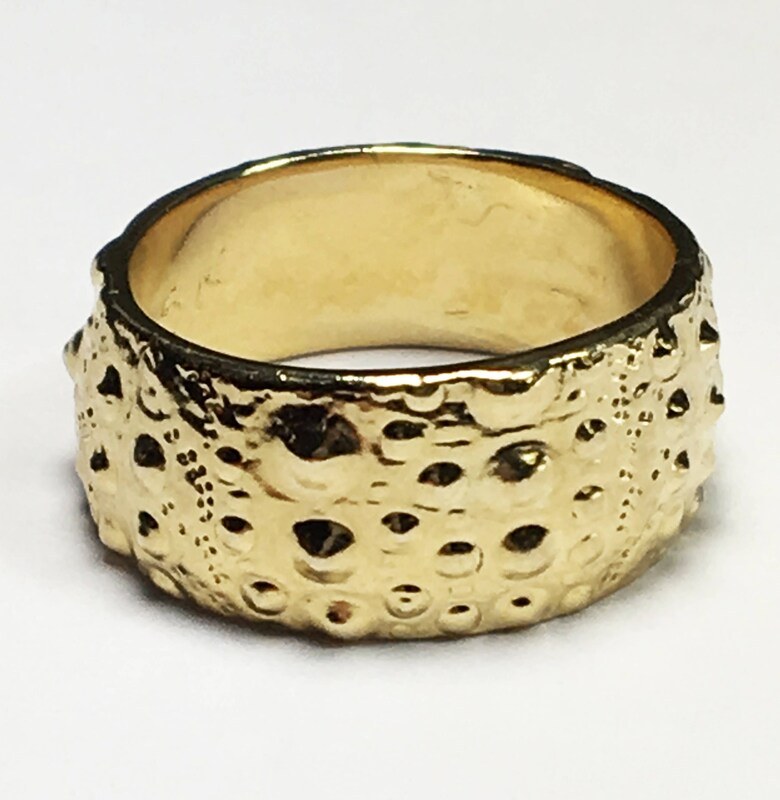 This Gold ring is molded and cast from a sea urchin. I find the texture of sea urchins to be fascinating and magical! This is a prototype so there is only 1. 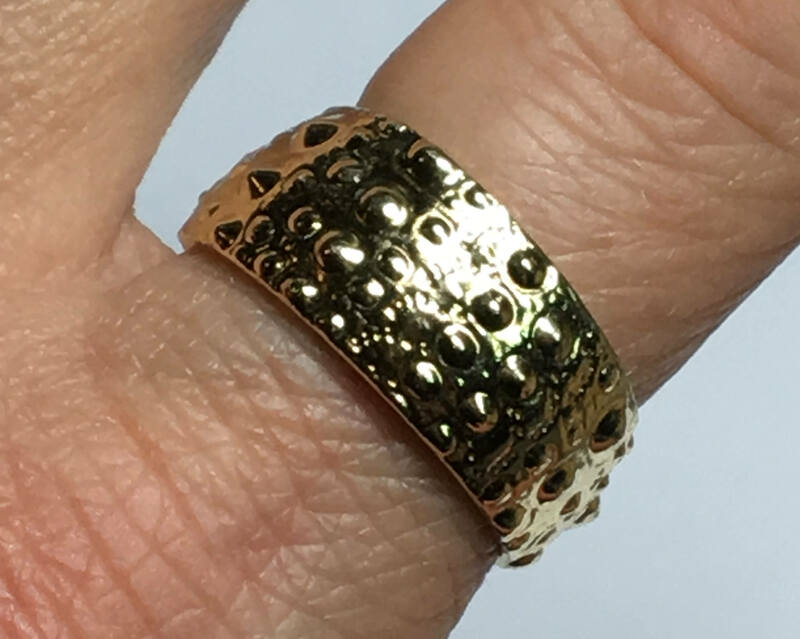 It's US size 8 and it is solid 5k yellow gold with a 14k dip. 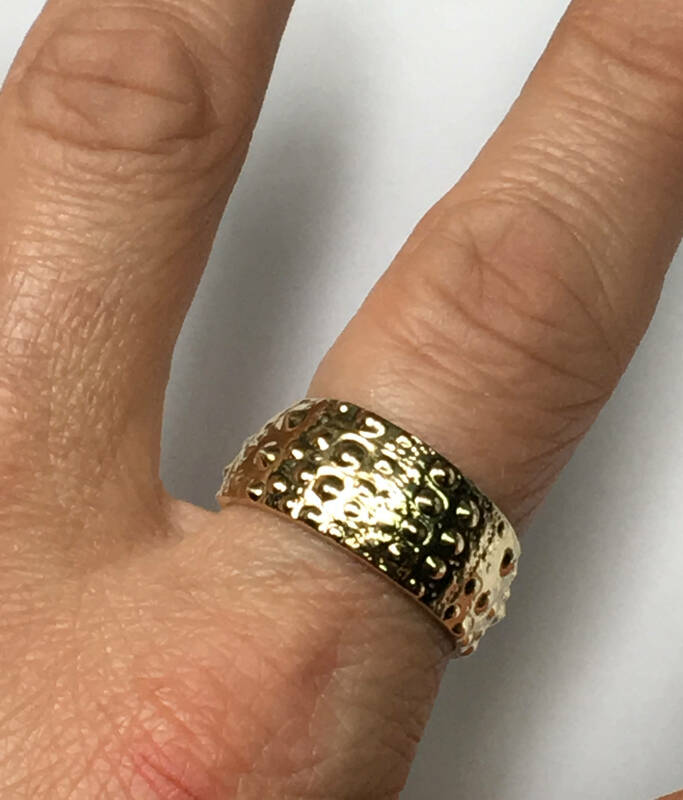 If you are interested in having a custom gold ring made in a different size (US sizes 5-8.5) in 10k or 14k gold please contact me for a quote. 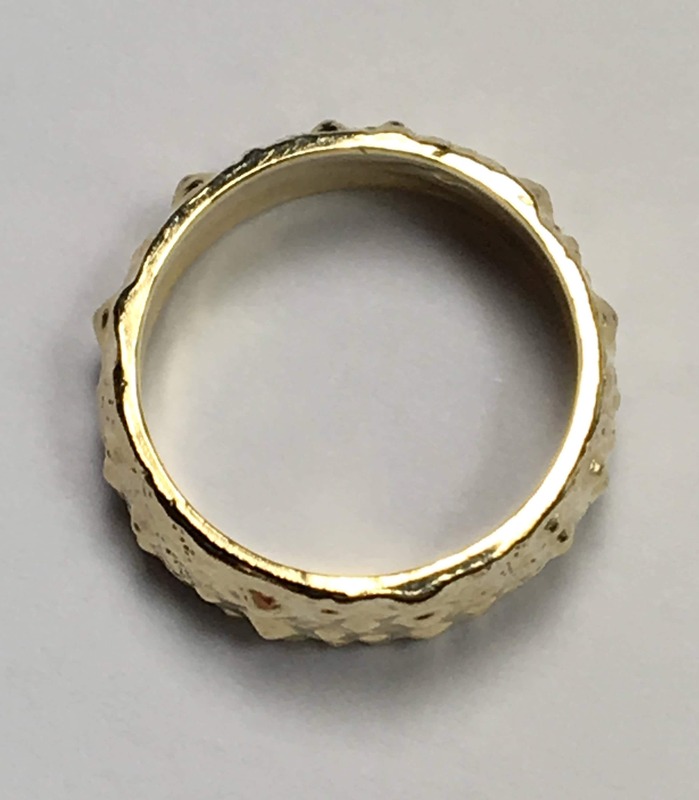 Beautiful rings! One of my favorite artists!